WNU Editor: The above picture is from this photo-gallery .... This Week in Pictures: 13 April - 19 April (Sputnik). As a US coastguard cutter sailed through the East China Sea last month, Chinese vessels shadowed it on the high seas, service officials said. It was a reminder to the Americans of where they were: in a strategic area a couple hundred miles from China’s shores. The situation underscored the evolving US response to the rise of China and the coastguard’s role operating missions typically closer to home. 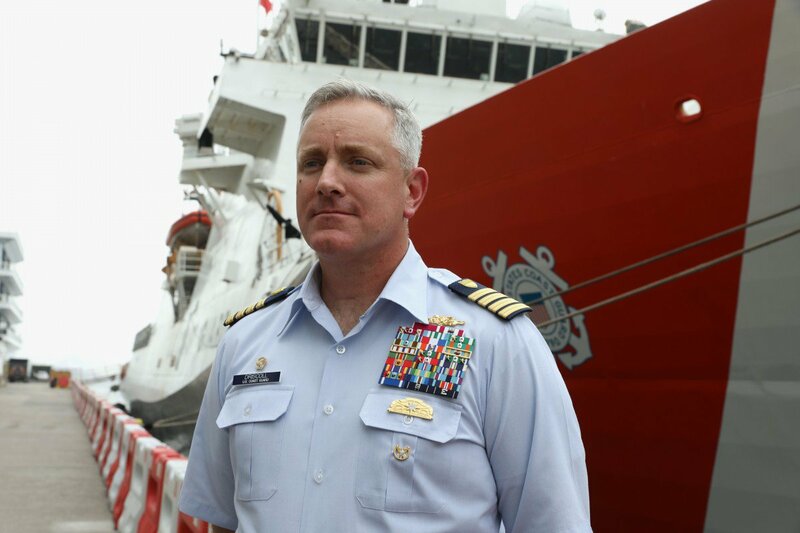 The coastguard is increasingly orienting itself toward China, senior officials said, by deploying new cutters, repositioning older ones and dispatching service members to countries such as Vietnam and Sri Lanka to help train those nations’ coastguards. Admiral Karl Schultz, the coastguard commandant, said that as the Defence Department shifts its focus to competing with Russia and China, the Navy is “oversubscribed”. WNU Editor: One U.S. coastguard cutter in Asia is not going to intimidate China. 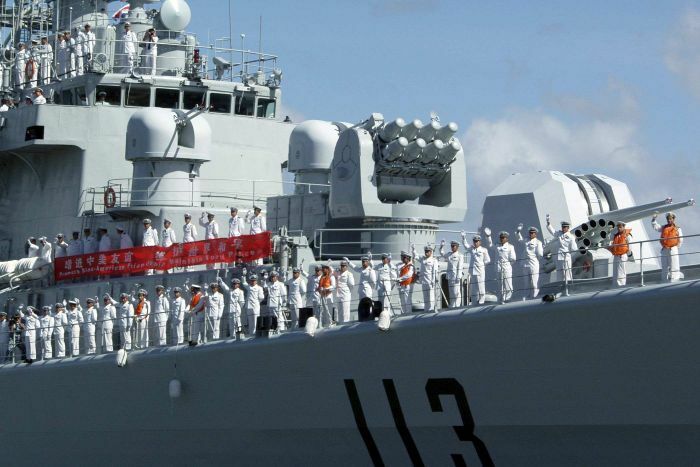 China's navy will mark 70 years since its founding next week, in a parade that will show off new warships including nuclear submarines and destroyers, giving the emergent superpower the chance to flaunt its wealth and new-found military muscle. 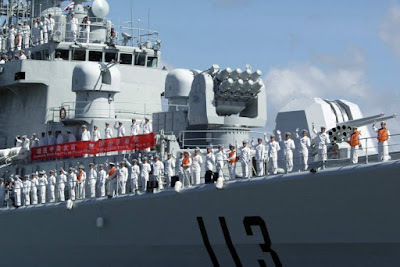 While China's involvement in naval technology stretches back to 549 BC, China's modern navy was founded on April 23, 1949, which has remained under Chinese Communist Party control. 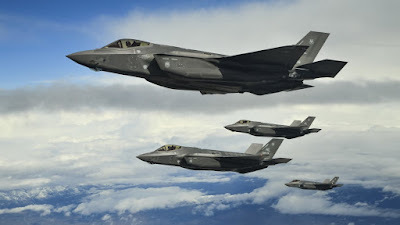 President Xi Jinping is overseeing a sweeping plan to refurbish the People's Liberation Army (PLA) by developing everything from stealth jets to aircraft carriers as China ramps up its presence in the South China Sea and around Taiwan, which Beijing considers a rogue Chinese territory. 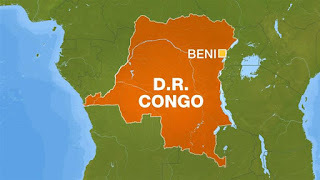 The Islamic State has claimed its first official attack in the Democratic Republic of the Congo (DRC) in a statement released by Amaq News earlier today. 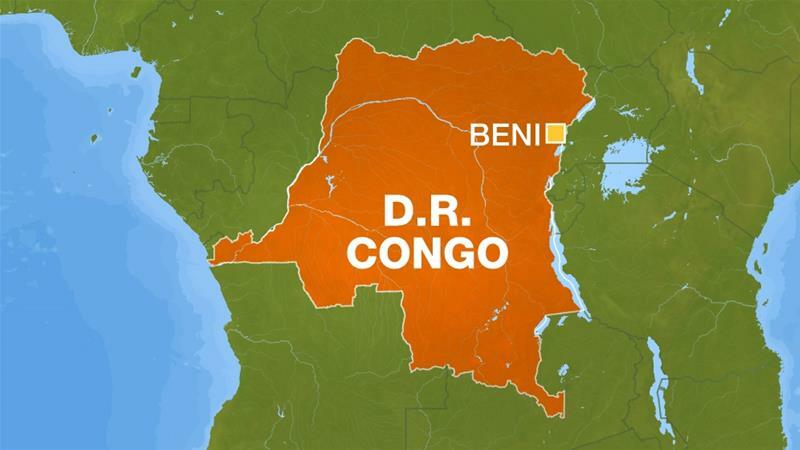 “[Members of] The Congolese Army were killed and wounded in an attack in the village of Kamango near the borders of the Congo and Uganda,” the Islamic State said in its statement. While it is not immediately clear an attack took place today in Kamango, local media has reported that Islamist forces targeted civilians near the town in recent days. On Saturday, the Times reported that such evidence exists, it has just not been openly published. According to the newspaper's U.K. source, Huawei "has received funding from branches of Beijing’s state security apparatus... American intelligence shown to Britain says that Huawei has taken money from the People’s Liberation Army, China’s National Security Commission and a third branch of the Chinese state intelligence network." Earlier this month, Joy Tan, Huawei's chief global communicator, told me that "the assumption that the Chinese government can potentially interfere in Huawei’s business operation is completely not true. Huawei is a private company. The Chinese government does not have any ownership or any interference in our business operations." WNU Editor: U.S. efforts to convince countries to not adopt the Huawei's G5 network is not working .... My way or the Huawei: how US ultimatum over China’s 5G giant fell flat in Southeast Asia (SCMP). 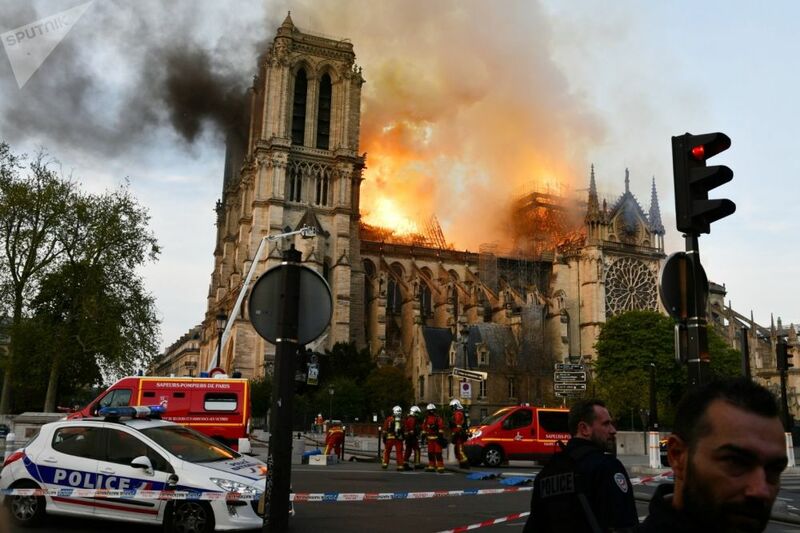 French Yellow Vest protesters set fires Saturday along a march through Paris to drive home their message to a government they believe is ignoring the poor: rebuilding the fire-ravaged Notre Dame Cathedral isn't the only problem France needs to solve. * The Paris police headquarters said authorities detained 227 people carried out more than 20,500 spot checks. * Police fired tear gas and stun grenades amid tensions at a march of several thousand people from France's Finance Ministry toward the Place de la République plaza in eastern Paris. * The violence contrasted sharply with the peaceful atmosphere at another march through Paris, where demonstrators mourned the Notre-Dame blaze while also keeping up the pressure on President Emmanuel Macron, who is expected to unveil new policies aimed at appeasing the Yellow Vests in a speech on Thursday. 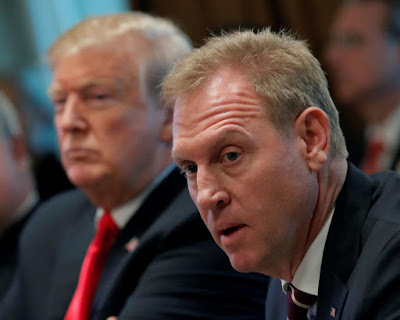 WNU Editor: He will be nominated after this report .... Pentagon inspector general report on Shanahan and Boeing expected next week (CNN). We are celebrating my mother's 93 birthday today. Blogging will return this evening. WNU Editor: Candidate Volodymyr Zelensky handled himself better than I imagine. Incumbent President Petro Poroshenko was also OK. Will this debate change the outcome of Sundays election .... in my opinion no. Volodymyr Zelensky will win with a large margin and will be the next President of Ukraine. People want change, and they do not even care about issues like this one .... ‘He finds laughter in the tragedy’: Comedian Volodymyr Zelensky set to become first Jewish president of Ukraine (The Independent). The Pentagon needs to hold suppliers responsible for security lapses. In a connected world, no government or company can perfectly protect all its data from hackers and rival states. Even so, it’s astonishing that, from January 2016 to February 2018, nearly 6 percent of U.S. military and aerospace contractors reported data breaches. And experts feel this is just the tip of the iceberg: The vast majority of security incidents are never uncovered. The Pentagon needs to tighten cybersecurity across its vast contracting operations and hold contractors responsible for breaches. If policy makers can contemplate jailing executives who lie about safeguarding personal data, then similarly harsh measures should be considered for those who put our national security at risk. WNU Editor: The above numbers are sobering. A pair of servicemen and four schoolboys sit on bridge over the Thames, Henley-on-Thames, England, May 1944. 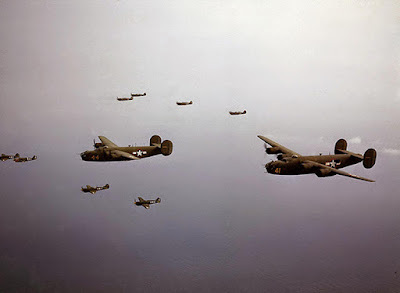 WNU Editor: The above picture is form this photo-gallery .... 27 Color Photos from World War II (Scoopy Web). Hat tip to Fred for this link. Will Venezuela Have The 'Largest March In History' On May 1? 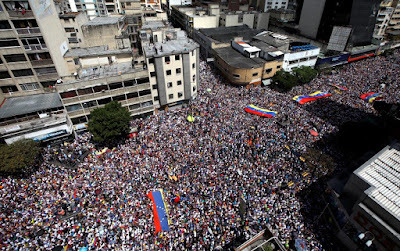 CARACAS, April 19 (Reuters) - Venezuelan opposition leader Juan Guaido on Friday called on supporters to take to the streets on May 1 for what he called "the largest march in the history" of the South American country to keep the pressure on President Nicolas Maduro to leave power. Guaido, the head of the opposition-controlled National Assembly who in January invoked the constitution to assume an interim presidency on the basis that Maduro's 2018 re-election was illegitimate, reiterated his call for the country's armed forces to take his side in the three-month power struggle. "They will need to listen to the people saying: enough," Guaido told a crowd gathered at a plaza in eastern Caracas, setting the date for the march for May 1, International Workers' Day. WNU Editor: May Day is celebrated around the world. I would not be surprised if this rally will be one Venezuela's biggest. 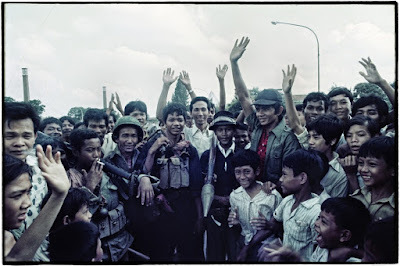 Phnom Penh Fell To The Khmer Rouge 44 Years Ago. WNU Editor: And the genocide began right-away. In 2016, a 22-year old college student reported for a physical exam to determine his eligibility for mandatory military service in the South Korean armed forces. This week, the Incheon District Court ruled that he was not guilty of breaking conscription law, after prosecutors alleged he gorged himself on fried chicken and booze before showing up in order to avoid service. WNU Editor: Darn. 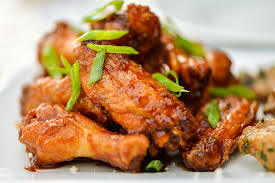 I feel hungry. From Youtube: In 1776, less than six months after the Declaraton of Independence, the Continental Army, under the command of General George Washington, was on the brink of utter defeat. Low on men, cannons and supplies, Washington decides to risk everything on one last desperately daring attack on the town of Trenton where over 1000 of the feared Hessian mercenaries are garrisoned. However to do that, the army must cross the Delaware to a seemingly hopeless battle that would turn out to be more successful than Washington ever dreamed of. Lee Jeong-ho, SCMP: Was North Korea’s missile test a sign Pyongyang is getting impatient? North Korea’s firing of a new “tactical guided weapon on Wednesday was intended as a warning to China and the United States that it is running out of patience with the UN sanctions imposed against it, analysts say. According to a report published on Thursday by the Korean Central News Agency, the leader of the hermit state, Kim Jong-un, “supervised and guided the test firing of a new type of tactical guided weapon by the Academy of Defence Science”. “The development of the weapon system serves as an event of very weighty significance in increasing the combat power of the People’s Army,” he was quoted as saying.